If you are thinking about filing for bankruptcy and live in the Evergreen Park, IL area, contact Berry K. Tucker & Associates, Ltd. at (708)425-9530. Our bankruptcy attorneys have over 50 years of experience in assisting numerous individuals with their financial struggles. They provide more than just sound advice; they will establish a strong partnership with you to discuss all legal options so you can make the best financial decisions. Whether you choose to develop a plan to pay off your debt or file for bankruptcy, our lawyers will guide you throughout the entire process. There are two types of bankruptcy that are handled by our firm: Chapter 7 and Chapter 13. When handling a Chapter 7 case, various types of unpayable debt are forgiven as a result of insufficient income. This typically includes all of the following: credit card debt, home foreclosure judgments, car repossession, as well as medical debts. 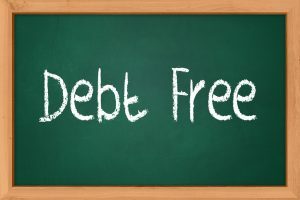 If you are experiencing one or more of the situations mentioned, please do not hesitate to contact the bankruptcy attorneys at Berry K. Tucker & Associates, Ltd.
Credit Card Debt: With extremely high interest rates, paying off the debt incurred by credit cards can easily seem overwhelming, especially with large amounts in multiple accounts. However, after speaking with one of our bankruptcy lawyers, we will work with your bank to establish a lower monthly payment. If this option is not available, we will guide you to make the best decision based on your unique situation. Home Foreclosure Judgments: While discovering a foreclosure notice on your home can be a nightmare experience, you don’t have to be alone during this stressful time. When speaking with one of our attorneys, they can negotiate with your bank, establishing a monthly payment that will accommodate your budget. If a negotiation cannot be reached, we will work with you to discuss your legal options and assist you during the decision process. Car Repossession: If you are experiencing financial difficulty and have discovered that your vehicle has been repossessed, contact one of our bankruptcy lawyers right away. As long as action is taken quickly, you still have a chance to reclaim the car. However, if a lower monthly payment cannot be negotiated, we will work with you to discuss your legal options and help you make the best financial decision. Medical Debts: While the doctors can never deny their services to you as a result of an inability to pay, they will send the medical bill, regardless of your situation. If you find yourself in a situation in which you are unable to pay off this medical debt, contact one of our bankruptcy attorneys at Berry K. Tucker & Associates, Ltd. We have years of experience in assisting numerous individuals overcome their crises. Whether you need assistance filing for bankruptcy or following a monthly plan to pay off the debt, we will work with you to find a solution that works in your best interest. In addition to Chapter 7, our lawyers also handle Chapter 13 bankruptcy cases. This is when the individual has substantial income, however, their debt has become too significant to handle. After contacting Berry K. Tucker & Associates, Ltd., we will evaluate your situation and help you make a financial decision that works best for you. Whether establishing an affordable plan to pay off the debt or filing for bankruptcy is your best option, we will work with you every step of the way. 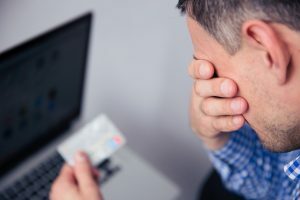 If you live in or near the Evergreen Park, IL area and are considering filing for bankruptcy, you will want to consult with an experienced attorney to determine if this is the best solution. Our bankruptcy lawyers have years of experience in handling both Chapter 7 and Chapter 13 cases for numerous individuals. Contact Berry K. Tucker & Associates, Ltd. at (708)425-9530 in Evergreen Park, IL to determine whether filing for bankruptcy is the best option for you.